"The window of opportunity to see three of Branson's most popular shows is closing," said Annette Wood, the Director of Sales and Marketing for the Branson Tourism Center. 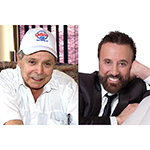 "When the curtain falls on the Mickey Gilley show on the evening of December 2, 2015 and the Wake Up With Yakov show on the morning of December 5, it will be more than the end of the show and their 2015 season; it marks the end of more than two decades of Branson performances from each of these iconic stars. We"ll surely miss country music legend, Mickey Gilley, and comedy superstar, Yakov Smirnoff," she adds. Read entire article here. Wake Up with Yakov...before it's too late! It's his last season in Branson, and we've created the perfect Yakov vacation package! For as little as $219 for two adults staying two nights, you'll see the show, get a Branson Guest Card Savings Book, a $30 dining certificate, and stay in comfort at either Days Inn or the Ozark Regal Hotel. Add a night, and add a show! Choose from Amazing Pets, Grand Jubilee, Down Home Country, New South Gospel, or Ozark Mountain Jubilee. Don't miss America's favorite Russian import...Yakov Smirnoff, in America's favorite vacation destination...Branson! View package here. From Silver Dollar City to Branson Landing and the top of Mount Branson, Branson will be aglow with the spirit and lights of Christmas on trees, poles, and displays during Ozark Mountain Christmas. 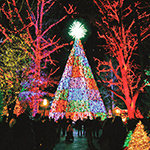 Silver Dollar City's Old Time Christmas is by far Branson's biggest light display, with more than five million Christmas lights transforming the 1880's styled theme park into a glittering Christmas wonderland. Read entire article here. "...it will create wonderful Christmas memories that will last a lifetime," said Annette Wood, Director of Sales and Marketing for the Branson Tourism Center. 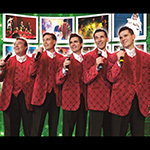 "Christmas is one of the most exciting times of the year in Branson, and nowhere is that more obvious than at our shows. Each is like an exquisite ornament on a Christmas tree, adding unique beauty, fun, and spirit to the Christmas season." What's the last show you saw in Branson? "When you ask the question, 'Whether yesterday or 10 years ago, what's the name of the last Branson show that you saw,?' 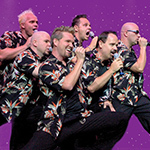 you'd expect a variety of answers, and that many of the shows mentioned would be listed on Branson Tourism Center's List of Most Popular and Highly Recommended Shows," said Annette Wood, the Director of Sales and Marketing for the Branson Tourism Center. "That's just what we got when we posed the question to more than 25,000 Branson fans participating on our Facebook page." Read entire article here. "Honoring America's Veterans, those currently serving in its Armed Forces, and their families for their service and sacrifice is an inherent part of what Branson is," said Annette Wood, the Director of Sales and Marketing for the Branson Tourism Center. 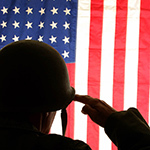 "Even by Branson standards however, 'Branson Veterans Homecoming Week' is special," she added. Read entire article here. How many of these November 2015 Branson highlights would you like to see? 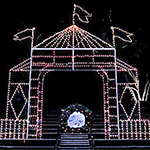 "With Branson's Veterans Week, Ozark Mountain Christmas, Silver Dollar City's Old Time Christmas, Branson's Christmas shows, and Thanksgiving, the month of November is easily one of the busiest and most exciting months of the year," said Annette Wood, the Director of Sales and Marketing for the Branson Tourism Center. "From the nation's largest Veteran's Day Celebration, to what may very well be its biggest celebration of the traditional American Christmas, and so much more, Branson will be bursting at the seams with special events and other activities during November," she added. Read entire article here. Recently, the crew of the "Lucky Lady," more formally known as the U.S.S. 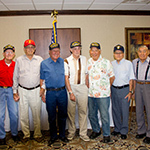 Santa Fe (CL-60), a Cleveland class light cruiser, celebrated their 70th Annual Reunion in Branson, Missouri. Melissa McGowan, a Group Sales Manager for the Branson Tourism Center Groups Department, worked with the group in planning and conducting the reunion. She said, "It's always an honor and privilege to work with our military groups, but this group was special.Read entire article here.